I thought I'd post up a few pics of my widefield imaging rig that I just recently added autofocus capability to. 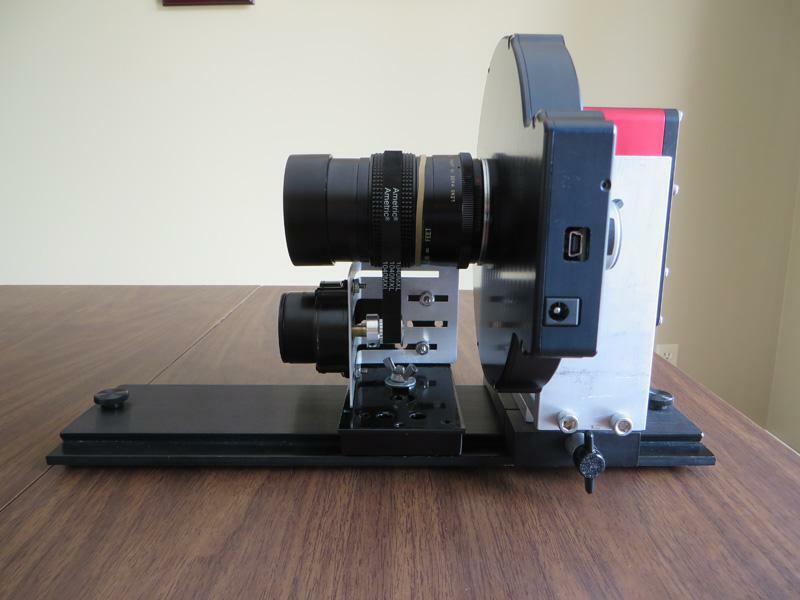 I use old pentax "screw mount" lenses with my SBIG STF-8300M camera and a Robofocus motor and belt to autofocus. I haven't had a chance to test it out yet but it should do the job nicely. Nice setup, Joel. I've been thinking about such a setup as well, so thanks for posting this. Did you go for the lens focussing kit from Robofocus or source the belt yourself? I was wondering about the dimensions of the belt to use. Robofocus does sell the belt and cog for a very reasonable price. However I ended up buying my belt and cog on ebay. There's about a bazillion different belt sizes. I bought an "XML timing belt". I could be wrong but I believe that "XML" is a certain size of belt regarding the teeth spacing, size and pitch. You need to match the motor cog with the belt. The one I bought is .375" wide. 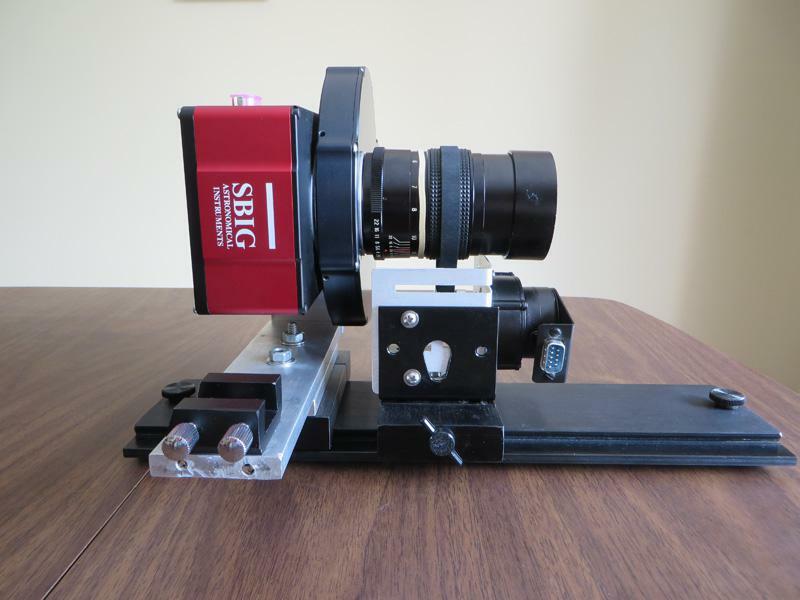 The way I constructed the bracket allows the Robofocus motor to slide both front to back to accommodate different lenses, and side to side to allow me to tighten or loosen the belt, again depending on the lens. You are right, I don't need to refocus these lenses much. I'm just lazy I guess. However in my experience autofocus is still necessary and should improve the resulting images. I have Astrodon parfocal filters, however I have found that at fast speeds (f/4 or f/2.8) there are definitely differences between the filters such that I need to refocus. Also, although these lenses do hold their thermal focus well, nevertheless as the temp drops the focus does change. I'm cheap and I wouldn't have done this if I didn't already have a spare Robofocus motor and some metal lying around. I paid about $18 total for the belt and cog so It was a rather inexpensive project. Thanks for the info. I think I will go for the Robofocus belt and cog to avoid complications.